Banff Awakening is a timelapse project I shot during a two week stay in 2017 at Banff Nationalpark, Alberta, Canada. 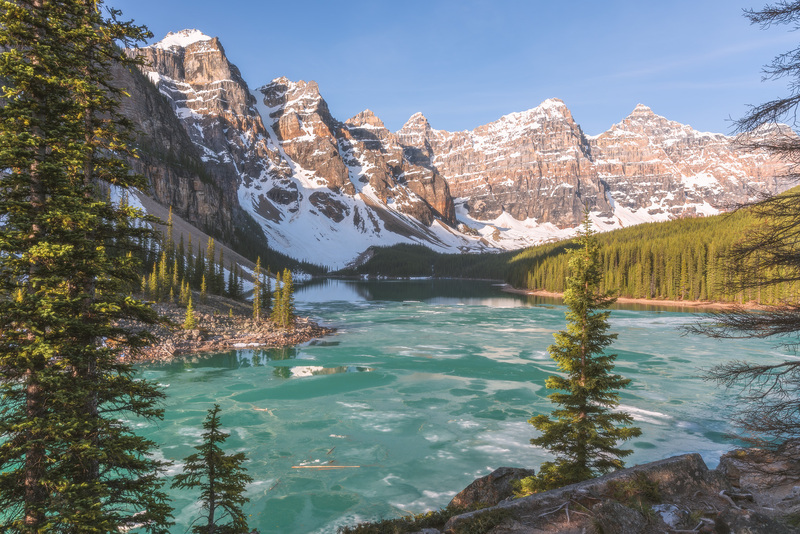 It shows the beautiful landscapes of the Canadian Rockies in late May early June, including glacier lakes, rapids, and snowcapped mountains. If you are interested in licensing some sequences from this movie, there are all available in 4k cineform codec. 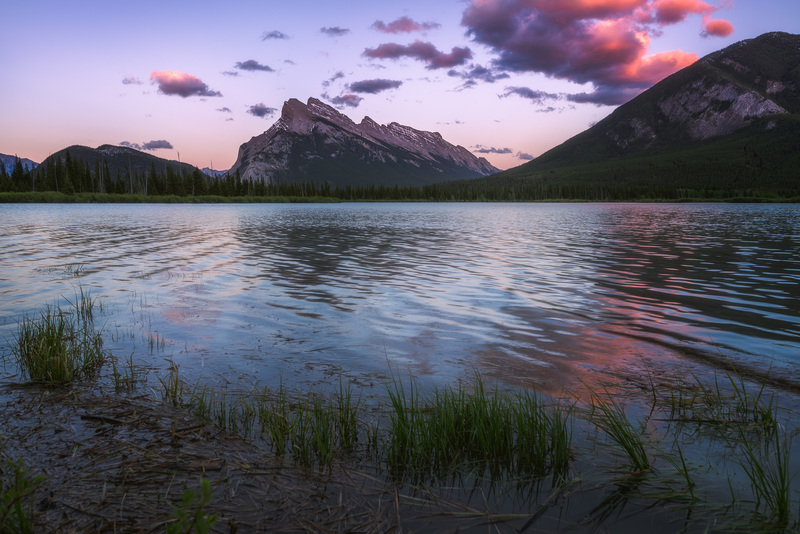 Vermillion Lakes and Mount Rundle. 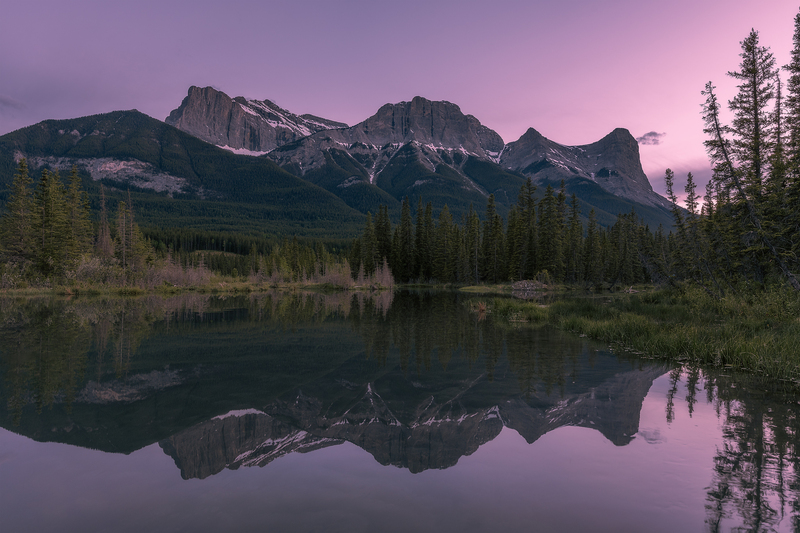 This spot is just outside of the town of Banff and therefore is really busy at sunsets with a lot of photographers and tourists who enjoy the beauty of Rocky Mountain sunset. One of the most beautiful lakes in Banff NP, Moraine Lake. This was an early morning drive to Moraine, which was still half frozen in early June. We visited again two days later then it was fully thawed. 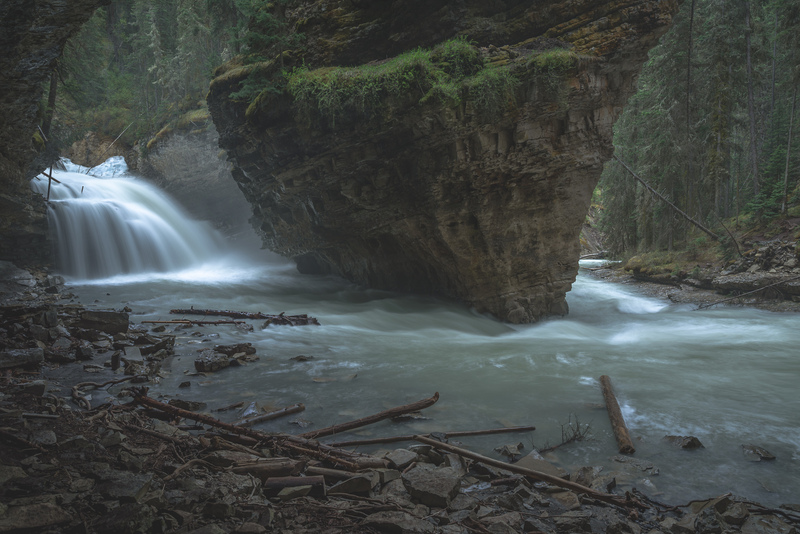 One of my favorite places in all Banff NP is this small cave at Johnston Canyon, which is a few feet off the main paths along the canyon. 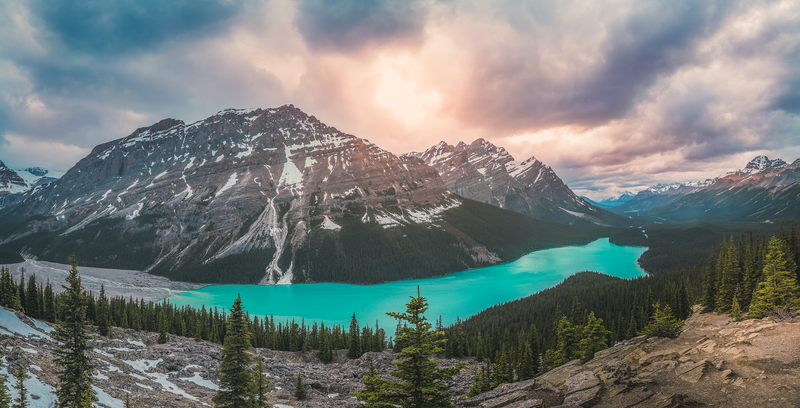 Panoramic shot of Peyto Lake. Peyto Lake is one of the highest lakes at the Icefields Parkway. Shot of the boathouse at Lake Lousie. 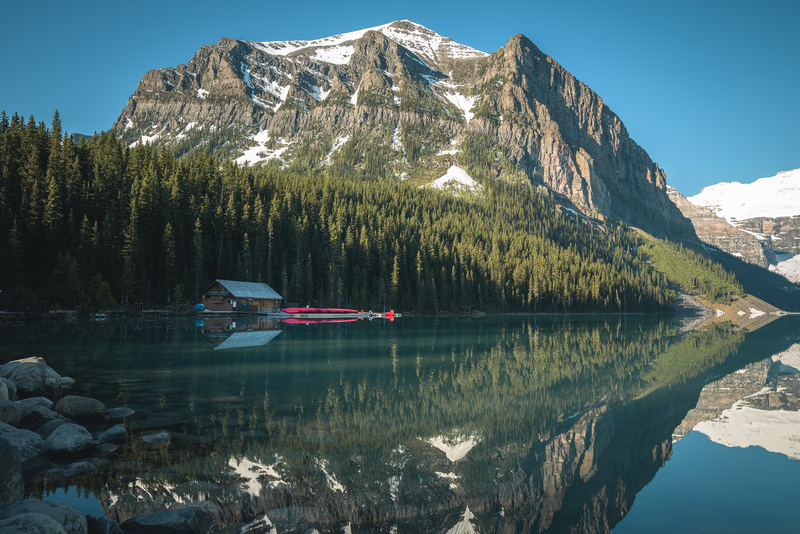 Lake Louise is one of the busiest tourist spots in Banff NP. Even in the morning hours there is high traffic at this beautiful lake. 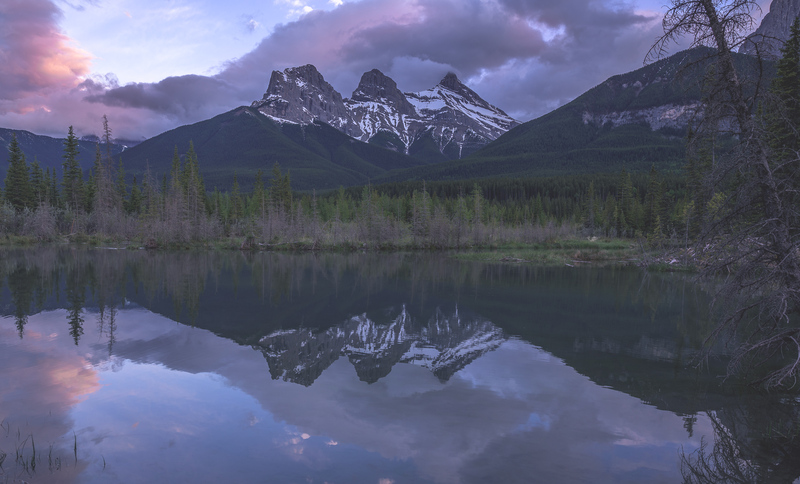 The Three Sisters of Canmore. This is a beautiful spot at a Creek right in the town of Canmore where you have a great view on the mountain ridge and can met other photographers or bears. 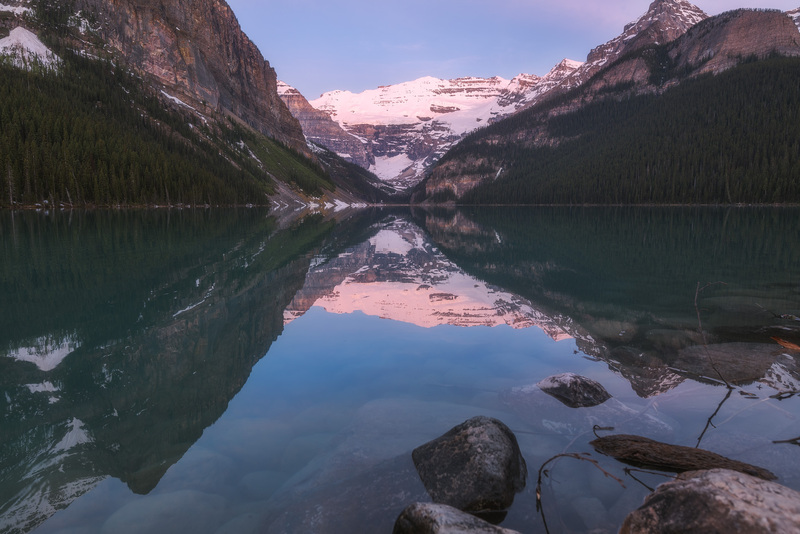 Another one from Lake Louise in the Victoria Glacier in the background taken from a timelapse sequence.